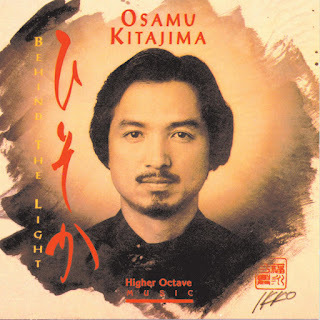 Behind the Light is a superb album by the vastly underrated Japanese new age musician Osamu Kitajima. Along with Mandala (1991), this album can be regarded as a masterpiece, coming during a point in the composer’s career during the early 1990s when he was more attuned to Zen Buddhism and oriental philosophy, a path that he somewhat started on with the 1984 album The Source. Featuring only six tracks (in other versions, there is an additional track called ‘Small Wonder’), Behind the Light is such a gem to indulge your ears in. This is one of those albums that you will play again and again for many, many years. The title track and ‘The Three Orders’ feature fantastic use of the electric guitar, performed by Kitajima himself that echoes his use of the instrument in some of his more pop and jazz-infused tracks of the 1980s. There is also plentiful use of the koto (a plucked string instrument), best exemplified by the first couple of minutes of ‘Mystic Whisk’. With the exception of ‘Wings of Knowledge’, while well-intentioned as a meditative piece but feels a tad too drawn-out towards the end, all the other tracks are fascinating in their arrangements of both synthesizers and organic instruments and percussion. 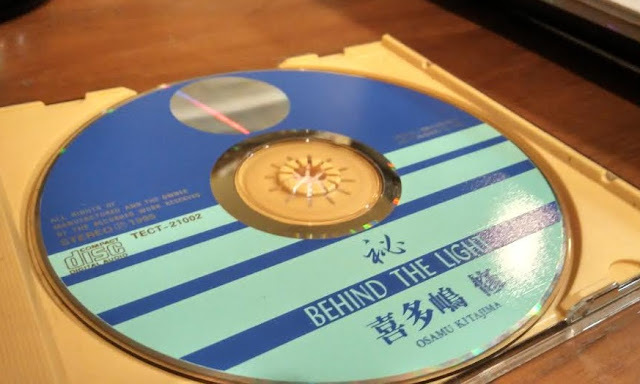 Behind the Light is one of Kitajima’s very best works – the sound of ‘Osamu’, as fans would describe, is also most developed in this album. ‘Mystic Whisk’ – One of Kitajima’s most accomplished compositions, with superb arrangements of a myriad of both organic and synth instruments. A solo koto gives way to an elaborate buildup of percussion and drums that would accompany a simple if zen-like melody performed on the synthesizer and also the koto. ‘Forbidden Green’ – Starts off ominously, but becomes a terrific melding of a strong, purposeful beat, and a journeyistic melody that repeats many times with different synth-created instruments. It ends off with the piercing shakuhachi, capping my favourite track of the album. This piece makes you feel like you are on an adventure – there’s a sense of danger and excitement.